MMT is currently working on GluEye ®, a new feature to display glucose readings from the Freestyle Libre on Horological Smartwatches. NFC glucose sensors transmit measurements only over a short distance. A diabetes patient needs to scan the sensor with a reader or smartphone. Each reading requires an active handling of taking out the reader or smartphone and bringing it close the glucose sensor. Only at that point the glucose measurements are transmitted to the reader or smartphone. Diabetes patients want to continuously see their glucose measurements in a natural and efficient way, without taking out a glucose meter or smartphone to display measurements. A wristwatch is an excellent display possibility. The glucose measurements must be visual and easy to read. 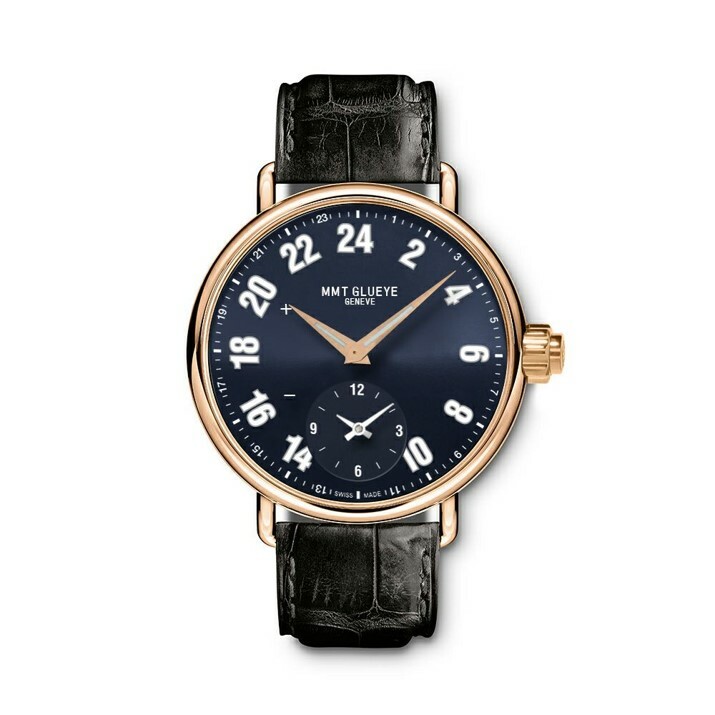 At the same time, many users prefer an analog watch, a watch with hands. 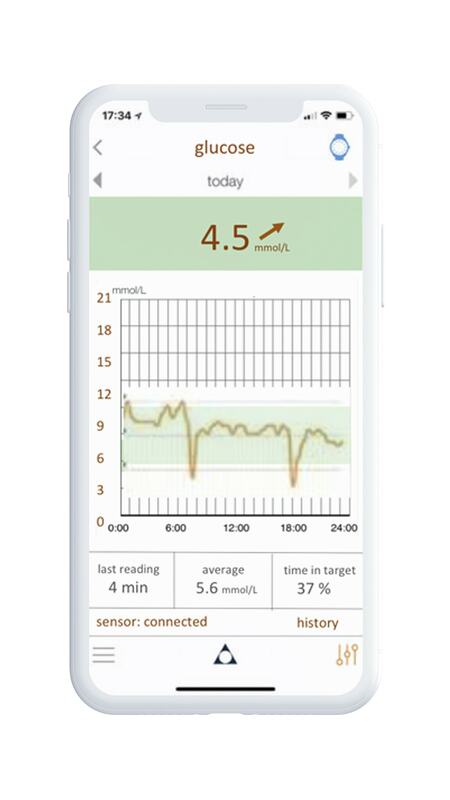 MMT GluEye ® enables continuous glucose monitoring with display on a Smartwatch. MMT GluEye ® enables display of glucose measurements with the central hands of an analog wrist Smartwatch. The long hand points to a 24 Hours scale with large numbers so the diabetic can easily read on the outer scale. On the Minute Track there is printed a one fourth division printed so measurement digits can be seen. The shorter center hand points to an UP triangle or + to display rising glucose measurements. The shorter center hand points to an DOWN triangle or - to display falling glucose measurements. Because glucose measurements are displayed with the longer center hands, pointing to larger numerals on outer scale of an analog Smartwatch, readings are significantly more readable. A patent for MMT GluEye ® is pending. Display of glucose measurements by hand on an analog Smartwatch builds on prior MMT patents. Glucose measuments are linked to activity and sleep data as measured by a smartwatch. Data from multiple sensors is uploaded to an application and mined for patterns with artificial intelligence. A diabetes patient is offered insights based on multiple sensor data over time showing correlation between historic glucose, activity and sleep measurements. 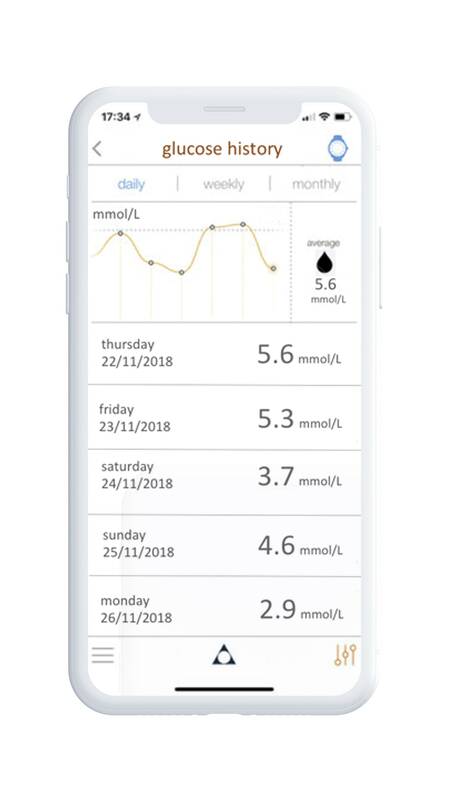 MMT expects to launch GluEye ® to a limited group of diabetes patients before end 2018.